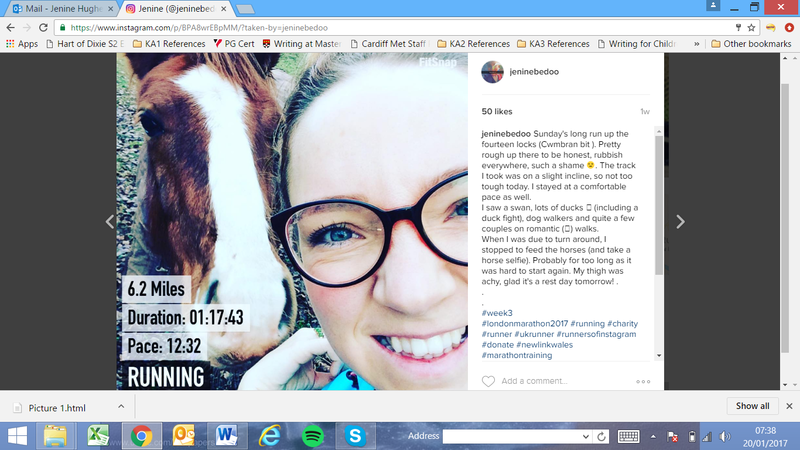 Fundraising Mad – Jenine’s London Marathon Story. It has been roughly one month since my application was accepted to run the London Marathon. I will be raising money for NewLink Wales, a local substance misuse and wellbeing charity. Well, what a month it has been. I began fundraising two days before Christmas and have already raised over £800. I cannot quite believe the amount of support that I have received from friends, family, work colleagues, and complete strangers. I have never been involved with fundraising before, but I am already an absolute enthusiast. I dream about it, I talk about it; I cannot stop thinking about it. I am currently living and breathing fundraising and running, that is it. The next stage is going to be the most difficult as it will involve more than just sharing a link or a text code via social media and email. I am definitely excited for the next few months as I will be planning events such as bake sales, raffles, coffee mornings and even hosting a Forever Living party, thanks to a colleague. These events will not only test my organisational skills, but my baking skills as well, (I make a mean shortbread). To make all this possible, further support has been provide by local supermarkets and restaurants that have kindly and generously donated ingredients and meal vouchers to help me bake delicious treats and provide raffles prizes – thank you! I am currently in my fifth week of official London Marathon training. I have never run so much in all my life; it has been (mostly) brill. 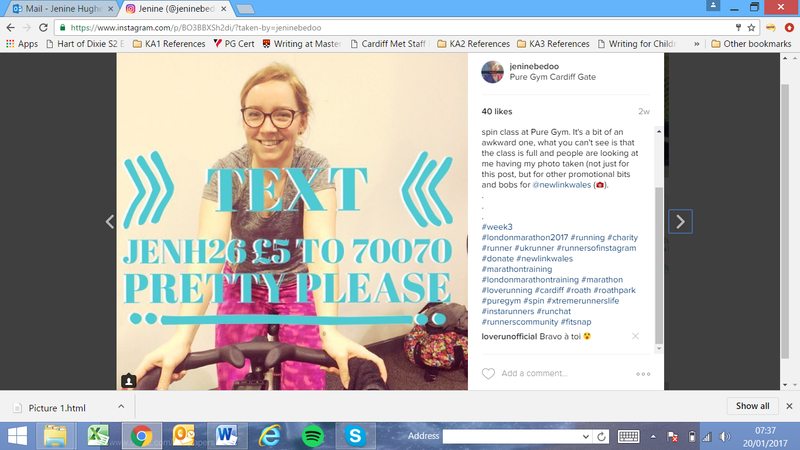 I have been keeping up to date with my training on Instagram and Twitter (@jeninebedoo); follow me to show support, to help keep me motivated, or just for a laugh. Knowing that there are people following my progress has really helped keep me on track, (although there has, and will be a few blips along the way). My fundraising target is £2000. I am completely confident that I will get there, but it cannot, and will not be achieved without external support. I would like to take this opportunity to thank everyone for their donations, well wishes and good lucks; it really has been overwhelming. I would also like to say thank you for reading my first ever article, I never thought I would be a published writer. Text JENH26 £5 to 70070.